Nothing says "we're thinking of you" better than a breakfast gift basket from Pemberton Farms. Our breakfast gift baskets include only the finest in New England foods as well as foods from around the world. Maple syrup, jellies & jams, fresh bacon, coffee cakes and more. 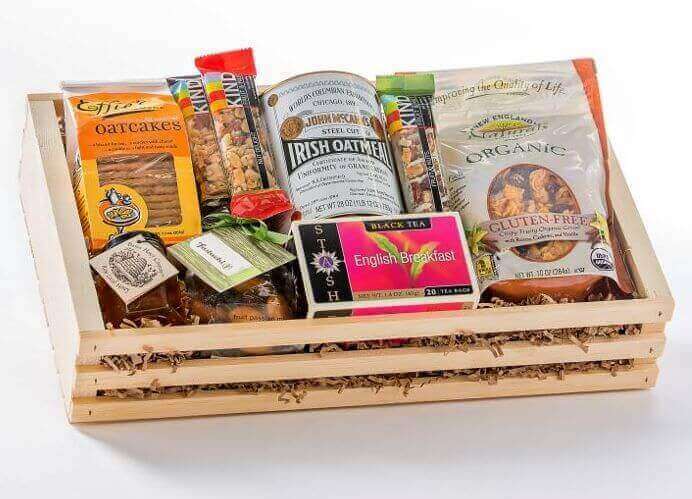 Why not send Breakfast in Bed or a New England breakfast basket to your friends and family? Breakfast baskets are great for any occasion - a thank you gift, a thinking of you gift, a happy birthday gift, a sympathy gift or for an anniversary . Don't see exactly what you're looking for here? Call us and we will be more than happy to create the ideal gourmet gift basket or breakfast basket for you.